Hawaii is my home. I consider myself the luckiest person in the world to know this and to live it. I've lived in Hawaii for close to fifty years and in doing so, I have learned that these Islands are alive and wise in the ways of life. : Lessons learned have become a part of who I am, what I do, and how I do it. I became a licensed realtor in 2003. 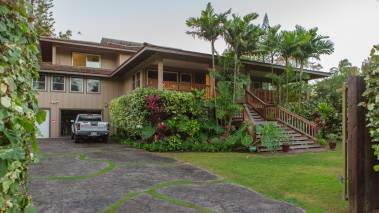 I've represented both Buyers and Sellers on the Islands of Maui, Hawaii and Oahu. helping them to find their ideal homes, condos, agricultural land and investment/properties. I've always been fortunate in having a knack for finding things. My success in real estate is often based on my ability to locate the ideal buyer for a seller, or property for my client. My knowledge of the Islands, it's neighborhoods and their environments, even the often unknown areas, are the tools I most depend upon. I deal in honesty, and integrity, as well as real estate. It just has to be that way. My work background is as varied as my sales, having at times been a special education teacher, a landscape draftsmen, a YMCA director, a photographer and a paperboy. I pioneered espresso bars on the Oahu and was Chairman of the Retail Merchants Association at the largest open air mall in the world. I've exported small local businesses to Japan while eating sushi that was so fresh, it was still moving. I've been active in sports all my life, both as a player and coach. In college I aspired to be a professional baseball player, (I coulda been a contender), before tearing my rotator cuff and having trouble with the curve. I love to travel, having caught the bug at 16, when myself, and two buddies, took a VW van up the California Coast, living on coke bottle deposit returns and Twinkies. I subsequently, went on to circumnavigate the globe, experiencing, the customs and cultures of Europe, Asia, Central America, New Zealand and Africa. I've trekked the Himalayas and journeyed from Cairo to Cape Town., traveling by foot, bike, donkey, bus, boat, truck and train. I surf, swim and hike to stay healthy and sane. My approach to life is to trust my instincts, challenge myself, and seek new experiences. I believe there are no coincidences in life. Meeting new clients is serendipitous and meant to teach us and validate what and who we can be. I look forward to those relationships and working together. to expand our horizons. Is That A Listing In Your Pocket?